If you’re into the donut scene, or the Kenyan food scene, then you probably know about mr.donut and have perhaps even sampled it. When mr.donut opened late last year, Kenya had no access to the American-style donuts that mr.donut brought into the market, changing the ball game forever. I had heard about the rave reviews on mr.donut since it first started in November 2014, and not one to be left behind, I did spoil myself with their wonderful American-style donuts more than once. This especially included (Inter)National Donut Day! DID YOU KNOW? The National Donut Day is celebrated on June 06, succeeding the Donut Day event created by The Salvation Army in 1938 to honor the women who served doughnuts to soldiers during World War I. This food observance takes place on the first Friday of June each year and celebrates the doughnut, also known as “donut”. 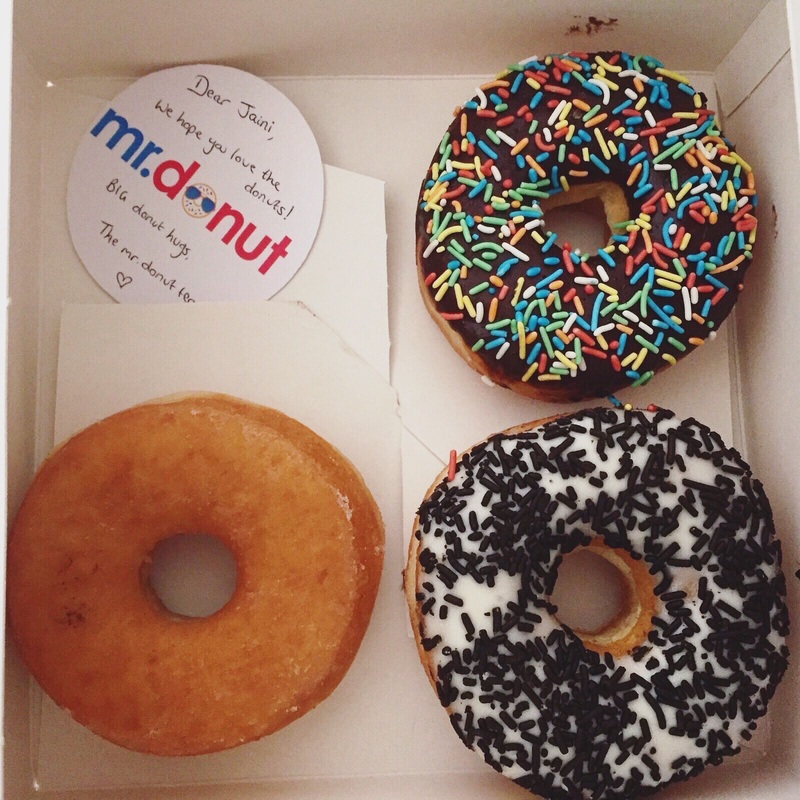 mr.donut has come a long way since it started in November 2014 by London-born entrepreneur Kavita Doshi. She single-handedly launched the business after noticing the gap in the donut market. And thus, mr.donut sprouted as a result of her strong entrepreneurial spirit and her love for baking. So when mr.donut sent me a few samples to review, it may have been the happiest day of my life. You see … my love for donuts is CEASELESS! The first donut I tasted was the Original Glazed. I usually tend to be attracted to the more colorful donuts, and ignore the simple, original glazed donuts. But the first bite revealed it to be a true gem. It was soft and the dough had slightly saltiness that perfectly complimented the sweet glazed frosting. It was delectable and I realized why it’s a popular choice worldwide. However, as I still had to try the rest of the donuts, I only ate half of the glazed donut. When I had the leftover the next day, it had still retained its softness. I have never had a soft, moist leftover donut before, they’ve always become dry and hard, and so I was pleasantly surprised and delighted. The next one I moved on to was the Choco Sprinkles. Firstly, anything with sprinkles wins. 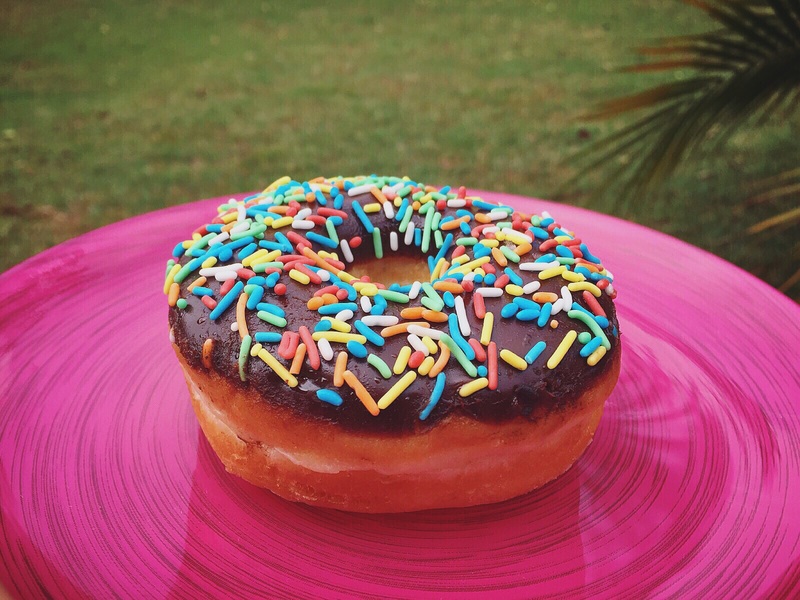 The chocolate combined with the crunch of the sprinkles and the soft, chewy donut was the ultimate mash-up that anyone would love. It was just the right amount of palatable sweetness and had me coming back for more. And the last donut I tasted was literally the best – the Vanilla Sprinkles – a donut topped with melt-in-your-mouth vanilla frosting topped with dark chocolate sprinkles. It was divine and surpassed my expectations. I had assumed when looking at it, that it would be “too sweet” for me (despite my massive sweet tooth). 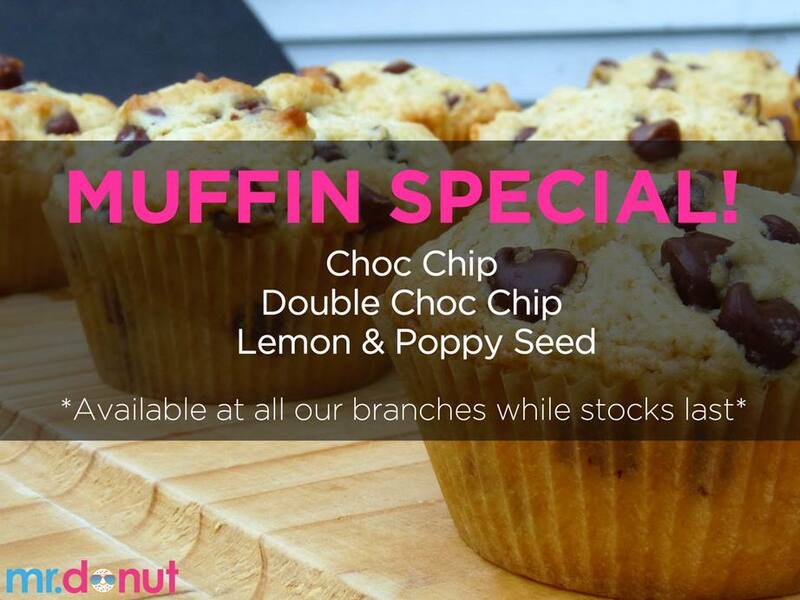 The Vanilla Sprinkles is now a personal favorite and it was discreetly moreish. The other donuts that I have tried before mr.donut sent me the samples have included the cronut – a hybrid between a croissant and the donut. And when I’m looking for a super-sweet indulgence, I love the cronutella – a cronut stuffed with Nutella in the middle. Mmm…absolutely delicious! While mr.donut initially started at the Thika Road Mall, they have now expanded to Capital Centre, Prestige Plaza, and Valley Arcade; and soon they will have a store at the Westgate Shopping Centre. They also deliver all across Nairobi. mr.donut just introduced a new menu, which looks appealing. I still have to try the mini donuts, which seem to make the perfect indulgence for fitness fanatics with sweet craving or even just a simple party dessert. And they just look oh-so adorable! They also just released a mr.donut loyalty card: Donutty Loyalty Card, that I can’t wait to get my hands on! 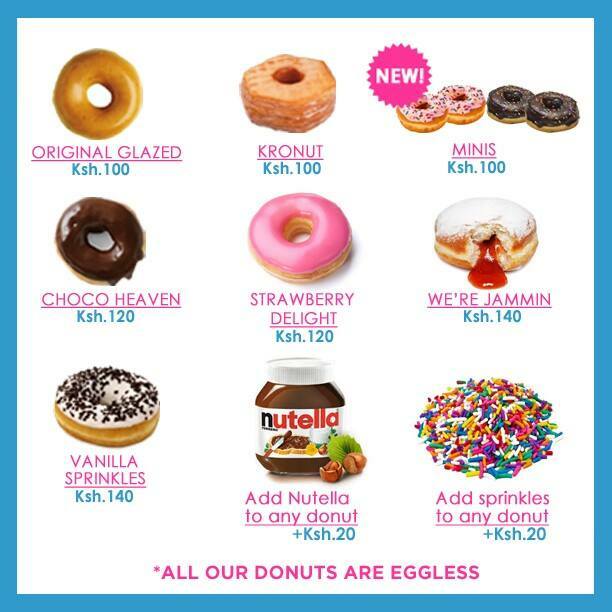 Although mr.donut has brought in soft, eggless American-style donuts into the Kenyan market, the choices are still limited. I hope that they introduce more flavors. I’d love to see some fruit-themed donuts such as coconut, passion fruit and even guava, representing the local tropical weather. They could also take advantage of the harmony between sweet and savory flavors; for example, I would totally gorge on a chocolate frosting donut topped with crushed potato crisps. 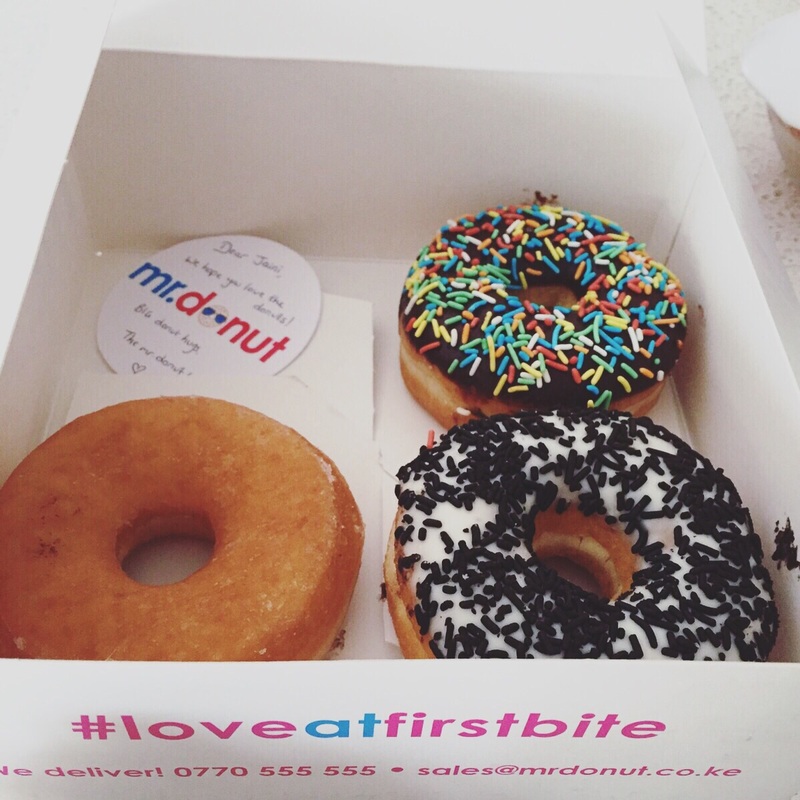 TL;DR – Donuts are awesome and mr.donut offers the best donuts in Kenya! 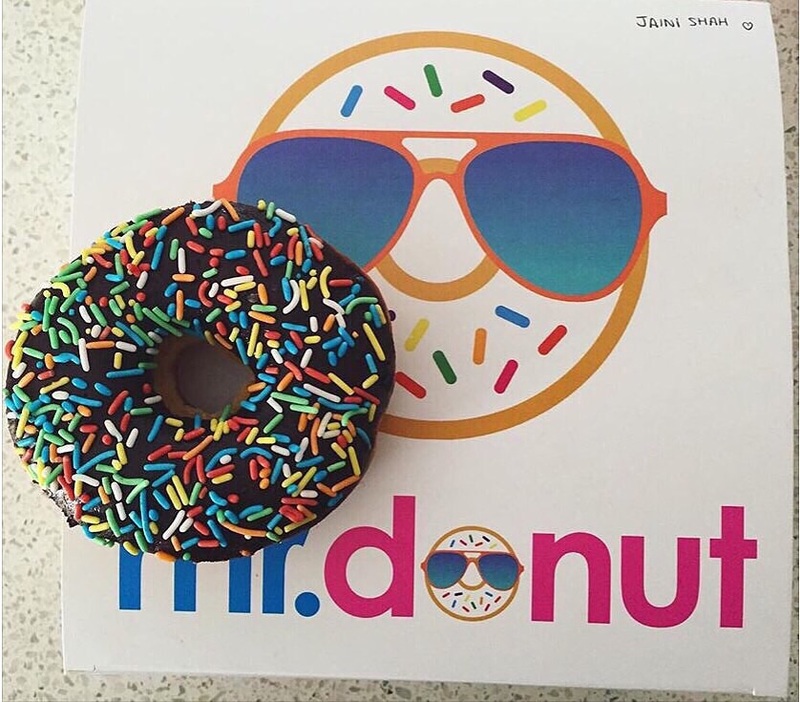 Comment below if you’ve tried mr.donut and tell me what you thought of it. And also tell me below which flavor you would try if you haven’t yet, and donut forget to send some over to me 😉 (excuse the puns). Disclaimer: Though mr.donut sent me the samples, all views are my own.